Paper maps contained vast amounts of complex data but were burdened with numerous inked-in corrections, improvements, and updates. 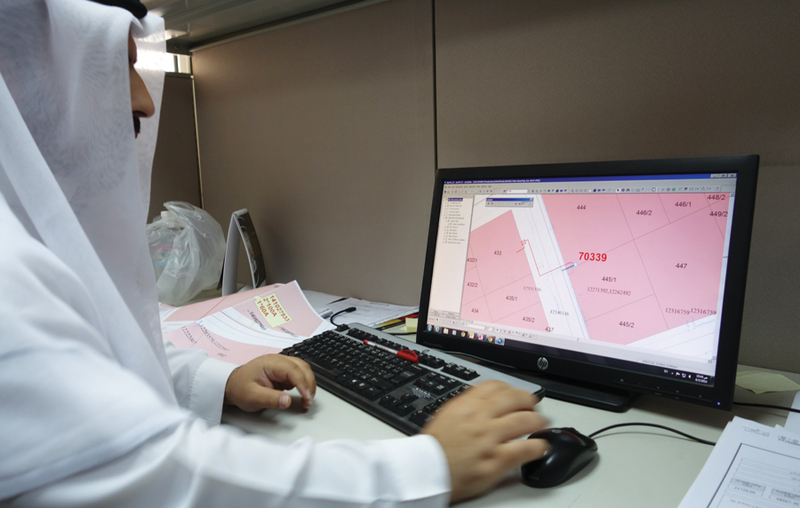 Data for the seven million customers who rely on the Saudi Electric Company (SEC) for power generation, transmission, and distribution was transferred from paper maps and CAD files to a GIS so it could be used for monitoring and optimizing operations and integrated with other business systems. Marked-up maps proved to be an unwieldy method for managing asset data for SEC’s rapidly growing customer base. These maps held data for a transmission network which exceeds 30,000 miles (54,000 km) and a distribution network that is approaching 300,000 miles (465,500 km) in length. SEC turned to German-based AED-SICAD, maker of the Esri-based ArcFM UT solution. 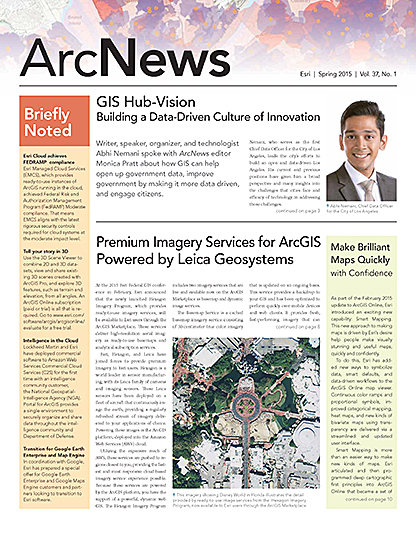 ArcFM UT is a product suite that integrates utility data for spatial applications. AED-SICAD, its local business partner Al Moammar Information Systems (MIS), and Esri helped SEC make ArcFM UT its framework for managing the utility’s explosive operational needs. SEC and its three solution providers kicked off the project. To start, they established a common data model. Based on this model, they configured ArcFM UT. Then the hard work started. 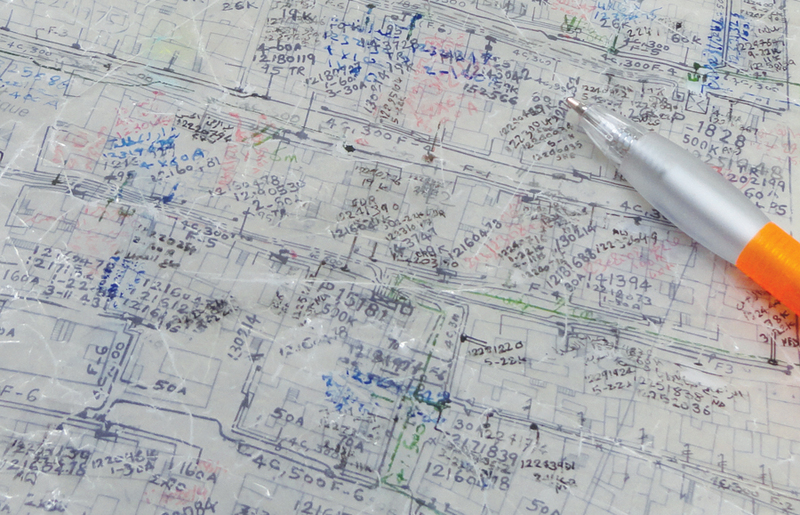 SEC data lived on paper maps and in CAD files. The hard-copy maps had survived but were covered with numerous scribbled corrections in various inks. Converting this data required many hours of tedious work. An offshore conversion team regularly touched base with SEC to resolve data discrepancies between the paper maps and CAD files. For example, Substation XYZ might be located between parcel 51 and parcel 53 on a scanned paper map but be shown between parcels 53 and 55 in the CAD file. Other times, Substation 123 on a hard-copy map might be labeled as Substation 234 in the CAD file. The offshore team and the solution providers worked together to ensure data integrity. MIS electrical engineers oversaw the offshore team. The utility’s employees made regular offshore visits to fully supervise data digitization. With the maps converted, the teams were ready for the pilot phase. SEC chose Saudi Arabia’s capital city, Riyadh, for the pilot rollout. Riyadh has 1.5 million SEC customers—more than a fifth of the utility’s customer base. The teams installed ArcFM UT Web, a portal that lets a utility distribute data internally and externally. ArcFM UT Web runs on ArcGIS for Server. With it, desktop users at SEC’s regional Riyadh offices could access the central database with Citrix clients. An SEC GIS analyst works on new service points with the ArcFM UT solution on the Esri platform. SEC needed some customization so AED-SICAD and MIS tailored an interface for the utility’s proprietary mainframe database. The mainframe contained all SEC’s customer and meter information in alphanumeric format. AED-SICAD and MIS configured automatic updates at regular intervals on ArcFM UT. They developed the product suite further to display the sum of all loads for each component in the database. Engineers could quickly scan loads on feeders, transformers, service points, and other assets for connectivity answers. If an asset exceeded its load, the solution generated a warning. The Riyadh pilot was a success. SEC entered into an enterprise license agreement (ELA) with Esri and AED-SICAD and rolled out the ArcFM UT solution regionally. In phase two, the solution went live in Jubail and Hufuf in the east. Next it was rolled out in the south region of Abha and Jizan. The remaining regions sometimes lacked data so SEC collected field data before implementing ArcFM UT. With the new database, all the utility’s stakeholders can contribute information or make requests to the data model. The SEC’s central office also upgraded to 10.2.1, the latest version of ArcFM UT. SEC has planned to integrate ArcFM UT with other IT systems. These systems include the utility’s internal business workflows, which guide the connection of new service points and the unified distribution system (UDS) that informs internal workflows, as-built documentation, and more. Finally, SEC is integrating ArcFM UT with its network calculation packages and field force management system. ArcFM UT offers full integration with these and other systems. SEC credits the ArcFM UT solution with making “a tremendous effort to bring the first project phase, implementation of Riyadh, to a successful end.” Considering this “a very good achievement,” SEC plans greater exploitation of ArcFM UT as Saudi Arabia continues to grow. For more information, contact Omar Al-Twaijri of SEC at +966 (11) 8079037; Mahmoud Sadeak of MIS at +966 920000334800; or Florian Brandi-Dohrn of AED-SICAD at +49 (89) 45026 217.